It was one of the most frustrating things I ever encountered – and I did it for fun – yet it kept me coming back. And it was a belly-button toy – everyone had one. After years of watching others do it, I never could. I still can’t. 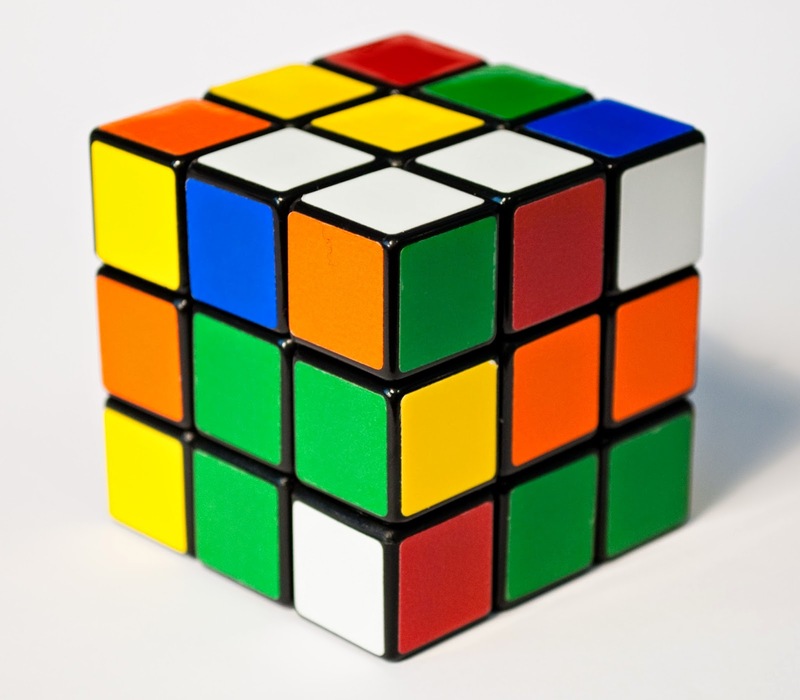 It’s been 40 years since the Rubik’s Cube came along and it remains one of those things synonymous with the ‘80s. I first recall seeing it on TV. It was this six-sided cube, and each side had its own colour. What made it so confounding was that each side was made up of nine squares. Each row of three, whether a horizontal or vertical row, would rotate. Only the centre square of the nine on each side would never move. The goal, once it was all mixed up, was to solve the cube by restoring each side to nine squares of the same colour. (It’s harder to explain than to just demonstrate). It sure looked easy, but no matter how many hours I spent working on it in front of the TV, I never could muster it. I was a purist, so I bought an actual brand name “Rubik’s Cube”, this after cheap knock-offs appeared everywhere. That’s how it became a belly-button toy. A few weeks later, after I bought my brand name cube (and in pretty much every other aspect of life I have never much cared for brand names), my mom even bought one for a couple bucks at the SAAN Store in downtown Coaldale. It was a cheap knock-off. Once it caught on, the Rubik’s Cube had become a pop culture phenomenon. Pretty soon the cube appeared on various TV shows, whether the news or elsewhere. There was a United States championship and it was featured on the magazine “That’s Incredible”. The champion, a teenager named Minh Thai, later appeared on the show “Real People” as well. He would go on to win the first world championship in Budapest in 1982. I also remember one of the people Minh Thai beat was a fellow named Jeff Varasano. Wikipedia revealed Varasano set the U.S. record later in 1981 for solving the cube. Other things also appeared. I saw one piece on TV of some people solving the cube in their own unique way – they took it apart and put it back together in the right order. I was a little reluctant to do that until a junior high classmate, a guy named Tracey, actually did it while I was watching during recess. Another piece I saw focused on the frustration people felt trying to solve the cube. Consequently, someone invented a flat-faced mallet, with a graphic of a Rubik’s Cube on the face of it, to hit and smash the cube to bits. You could even send them the broken pieces in the mail. At one point, I even bought one of the many books available at the time that explained how to solve the cube. Yet, as a purist, I never could bring myself to read it, because that felt like cheating to me. I needed to do it on my own. Personally, I knew a few people who could solve the Rubik’s Cube – for real. At the top of the list were two sisters, Mary and Katie, who were our neighbours on the farm. They were the most unlikely of people, because they were older than me, and they never played with toys on the bus or during recess at school. However, the cube was invented in Hungary and that’s where their family happened to be from. If memory serves, they learned how to solve the cube on a family trip to the old country. The Rubik’s Cube is one of the cultural touchstones of the 1980s. At one time, there was even a Saturday morning cartoon called, “Rubik, The Amazing Cube”, although it never aired on peasant vision. I bet you could ask anyone randomly, and they not only would admit to owning one, but having a story to go with it. For me, it fed my addictive personality. Although I never solved it, I came close, within two squares actually. If I’d had a camera back then, as teenagers do now, I would have taken a picture of that. It symbolized the frustration, as well as the endless possibility that anyone, even I, could solve the cube. It was a great diversion, and a wonderful toy, especially while I watched endless hours of TV at night on the farm during long, dark winters. It has had staying power too. There are still world championships and more than 350 million cubes have been sold. As it celebrates its 40th birthday, there is a giant, inflatable cube floating on a barge in the Hudson River beneath the Statue of Liberty to commemorate the occasion. 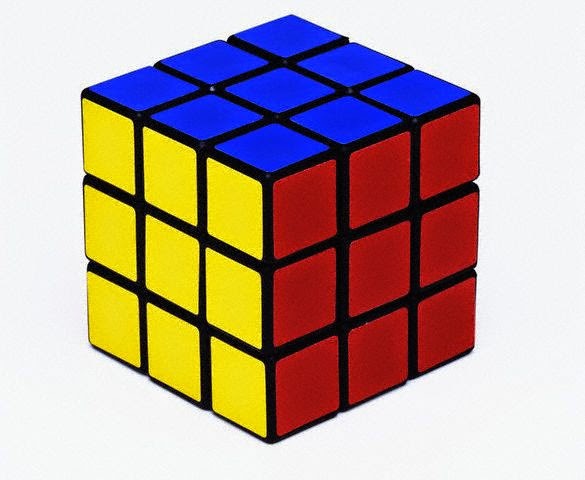 So, to an old adversary, friend, and comfort – happy birthday Rubik. Can I call you Rubik, or would you prefer Mr. Cube? After all you are 40 now. Chuck Noll: Who was a better NFL coach?